Today we are extremely excited to bring you the official release of our debut album, Lacerta. Lacerta, named after a lizard-shaped constellation, is a space-inspired tour-de-force that shatters the walls confining electronic and hip-hop music to various sub-genres. Running the gamut from “endtroducing-esque” to wonky/glitchy to downright danceable, I think you will find Lacerta’s 35 minutes will keep things fresh without sacrificing cohesion at any point. Although, we have poured our blood, sweat and tears into creating this album, we are offering listeners the option to name your their own price starting for FREE! Ultimately, we decided that we just want to get our music into the hands of as many fans of quality electronic music as possible. We hope you will help us achieve that goal. Please enjoy our record, bump it, write about it and pass it along to as many people as you think will enjoy it. Everybody is getting neck tattoos these days. And, we were especially flattered to discover that after hearing our remix of End of Your World, J*Davey got their own set of neck tattoos(pictured). At first we thought it was crazy. But, then our egos overflowed and we realized that putting some handsome fellows like Egon Brainparts and Negatron Johnson on your jugular is probably the best spontaneous move anyone could make. So, please enjoy the remix and email us if you’d like your own Egon or Negatron neck tattoo stencil. 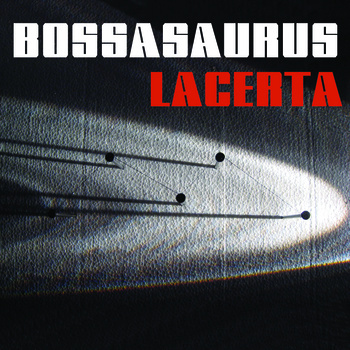 Look for our album Lacerta dropping December 15th, 2010! Just hooked myself up with some new video editing software and put together “my” first music video by chopping and re-sequencing several time lapse photography sequences (captured by various baller as photographers). The theme for the video is, you guessed it, Light Pollution. In this video the results are mostly stunningly beautiful, but it amazes me how seeing not stars at night has been taken for granted by most urbanites these days. Each summer I go to Utica Reservoir in the Sierra Mountains and remember what a dope alternative some good stars are to the hogwash that comes through my ears/eyes most nights of the week (I’m lying… I watch a lot of tasty TV). Anyway, hit me with you comments about where the best stars you have ever seen were. I know the video editing isn’t the illest, but give me some time and I think I’ll get pretty nasty. Double-Whammmy!!! Check out the 2nd drop from Lacerta. This one is a bit more hype and danceable, with our own brand of wobble bass for the dub-step fans of the world…don’t worry it’s not not really dub-step, just more bossiness! Free Download at either: mediafire or bandcamp. Now a Question…..
On December 1st we will be dropping our first all original project. To promote the project we will give you guys a sneak peak at a few of the songs that are going to be on the album. Check back regularly for interviews, in studio footage and more exclusive content. Click to subscribe to this blog and keep up with all things Bossasaurus.